Merry Miser is a mobile application that helps its users to make better decisions about spending. 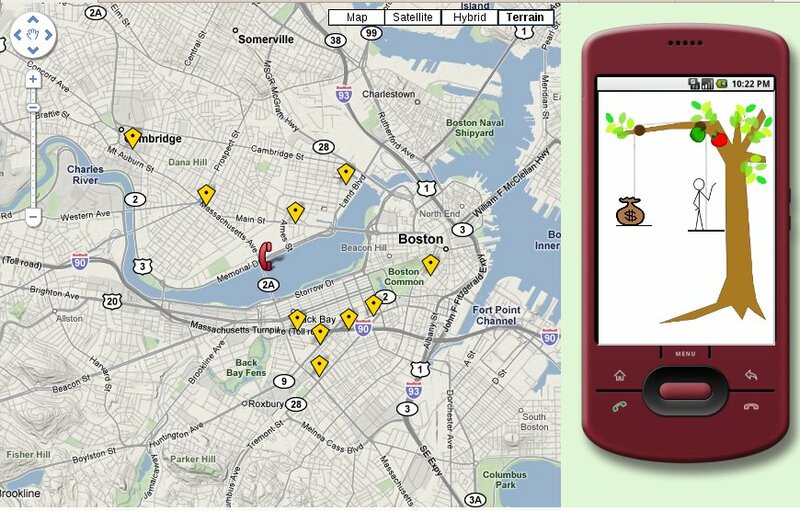 The application uses the context provided by a user's location and financial history to provide personalized interventions when the user is near an opportunity to spend. The interventions, which are motivated by prior research in positive psychology, persuasive technology and shopping psychology, consist of informational displays about context-relevant spending history, subjective assessments of past purchases, personal budgets, and savings goals. Merry Miser provides interventions when a user is near an opportunity to spend. 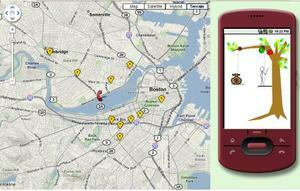 Locations and messages are personalized using information from users' financial history. Advertisers and marketers never stop searching for new ways to hawk their products to you. Since the 1930's, the chief mode of advertisement has been to appeal to our emotions, our irrationality, and our fears, convincing us that we can't be happy without their products. Much as many of us would like to think that we are not susceptible to this manipulation, studies (and advertisers' success) shows that it succeeds far too often. Merry Miser tries to work against this trend by providing contextual information that can help users to track their finances, maintain budgets, and track how past purchases have made them feel. It relates users expectations on how good a purchase is going to be to how good it actually ends up being, helping users to educate themselves about their own assessments. It promotes long-term, rational thinking in the face of marketers' manipulation. Merry Miser was featured in Frank Moss's book The Sorcerers and their Apprentices, and featured by Gizmodo. 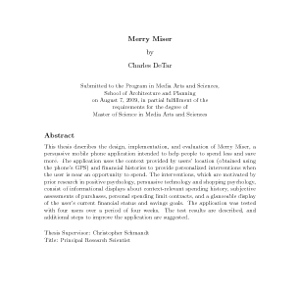 Merry Miser was the topic of Charlie DeTar's master's thesis (PDF), completed September of 2009.